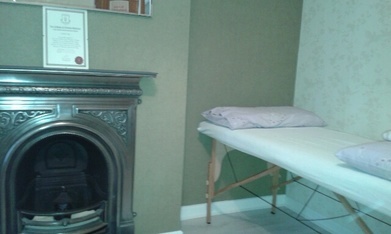 EAST Norwich ﻿﻿Acupuncture is based at very comfortable quiet private premises in Thorpe St Andrew. There is ample free parking, meaning a stress free experience from the very beginning. The treatment is in my private room and is very quiet, this means you are able to fully relax. The treatment space is warm, tastefully decorated in relaxing colours and with soft music playing creating the optimum healing environment. Choose either to receive your treatment in a multi-bed setting (with privacy screening) offering fantastic value or book a private session and enjoy complete relaxation. On your first visit we will talk through the main reasons you require treatment, this can be a general health issue such as Tinnitus, Insomnia, Anaemia or many other complaints, or you may be suffering with pain from a chronic injury, any of these issues can be addressed. I will start by asking lots of questions and we may discover some other issues which you would also like help with, this is not uncommon as many complaints have several underlying symptoms. We will then go through your medical history to understand any influencing factors, also noting what if any medication you are currently taking. I will check your tongue and face for tell tale signs of what may be going on internally. Once we are happy we have covered everything you can relax on the couch. It is usually not necessary to remove clothing as normally I can work around what you are wearing as long as it’s quite loose. If however I need to acupuncture your spinal area I will need you to remove your top (bras can be left on and just unclipped). You will be kept covered with nice cosy blankets at all times. The needles are normally left in for at least 20 mins, you may need more than one ‘set’ of needles, in other words I may leave one set in for 20 mins remove them and then insert another set for 20 mins. Some needles may require stimulation, this means I manually turn the needle in a specific direction, depending on the result I want to achieve, whilst moving the needle up and down. This sounds dramatic but really isn’t as the movements are very very small and painless. Some people may experience some discomfort when the needle is first inserted but this quickly passes. Most people feel nothing or feel a dull ache or tingly sensation. 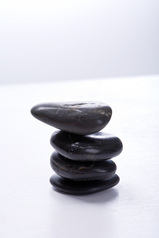 Most people find acupuncture a deeply relaxing experience and often fall asleep! The benefits far out way any initial concerns you may have. * Prior to you treatment try and eat a light snack or meal. * Wear loose fitting clothing, trousers which can be rolled up and loose sleeved tops are best. * Fill out all forms honestly and completely. * Try to rest after the treatment, its fine to go to work but try to avoid strenuous activities, and stressful situations as much as possible. * Keep an open mind, positive energy speeds up the healing process. * Drink plenty of water after treatment. In my Saturday & Monday Multi-bed Clinics there are two beds with a privacy screen between them. This means you can benefit from the experience and power of acupuncture at an affordable cost, in a relaxing and comfortable environment.